I was overjoyed when I saw the first teaser trailer for Disney’s upcoming release Frozen (check out my first post here). It looked whimsical, fun and delightfully silly, with a slapstick snowman, goofy reindeer, and the sort of sweet, if overly earnest, relationships between its character that have made Disney cartoons great drawcards for over half a century now. And the release of the full-length trailer has done nothing to diminish my enthusiasm for Disney’s take on Hans Christian Andersen’s classic story The Snow Queen. 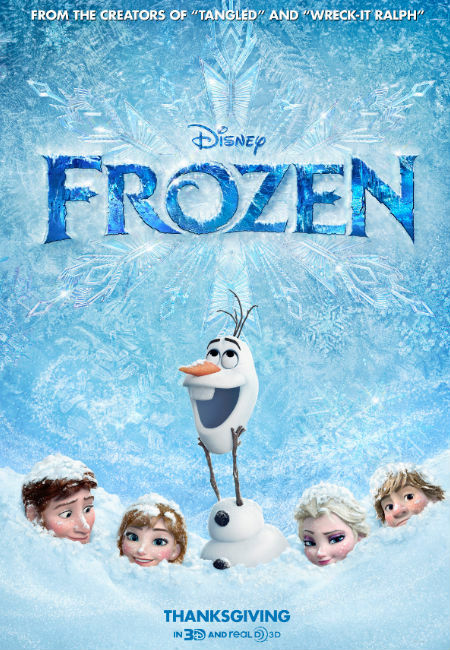 While I am at heart a Pixar boy, preferring their more emotionally grounded, substantial tales, I think Frozen shows real promise and will make a lovely addition to my post-Christmas holiday reverie. Frozen is scheduled for release on 27 November in USA, 6 December in the UK and 26 December in Australia.